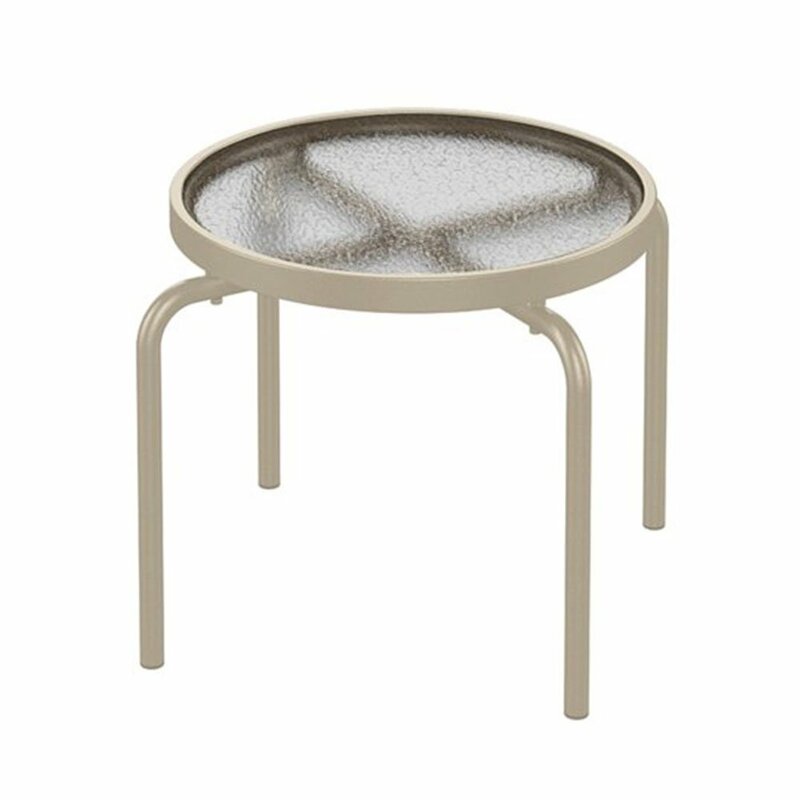 The 20" round acrylic stacking tea table with powder-coated aluminum frame by Tropitone is a companion asset for any hotel, resort or HOA community. 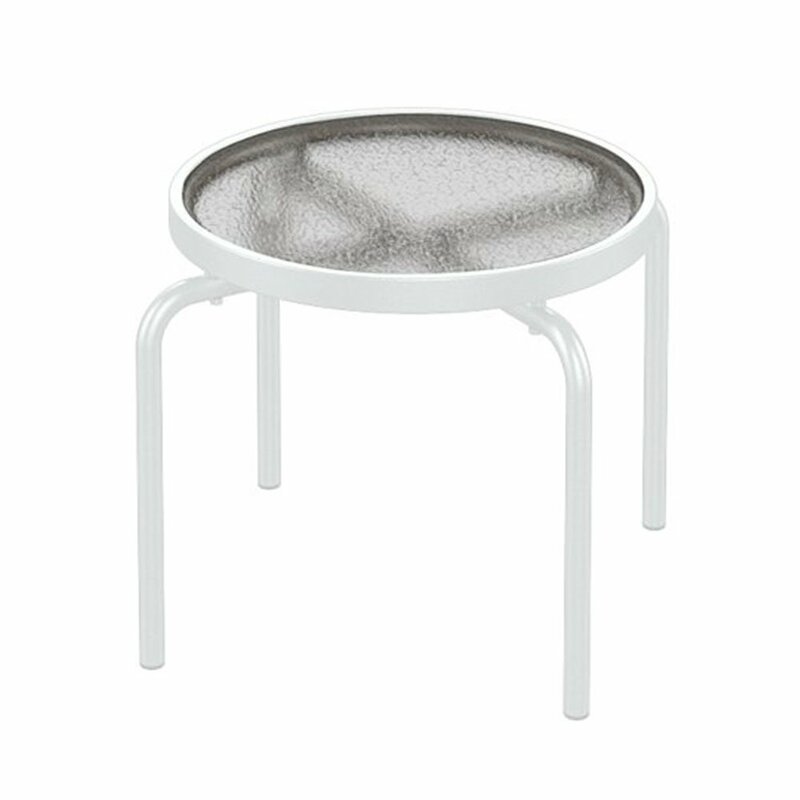 Featuring a powder-coated aluminum frame and UV resistant hammered textured acrylic top, this side table will last for many years to come. For storage convenience up to 6 of these round acrylic, tea tables can be stacked atop one another. 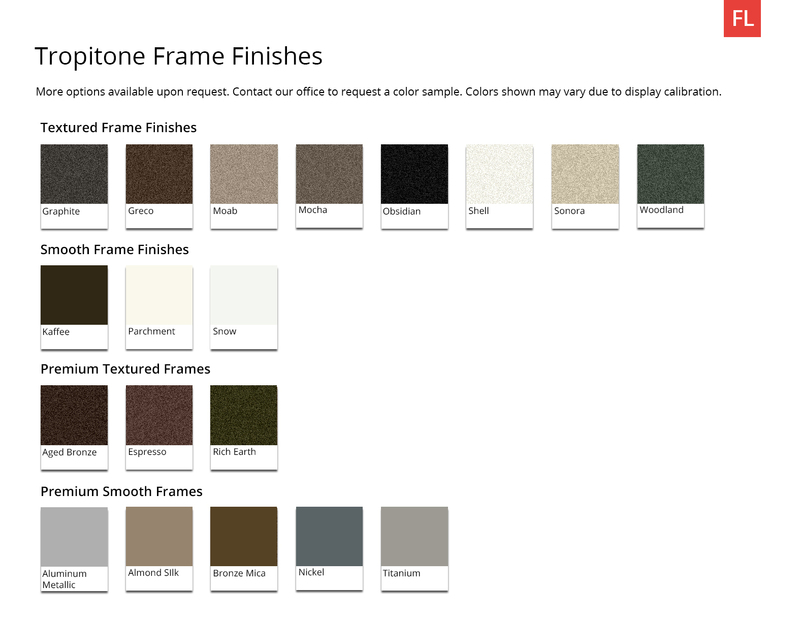 Embrace your unique vision and style as this comes in a variety of separate frame color options. The product comes with a 5-year limited commercial warranty and is made in the USA. • 18" Height x 20" Diameter - 8 lbs. 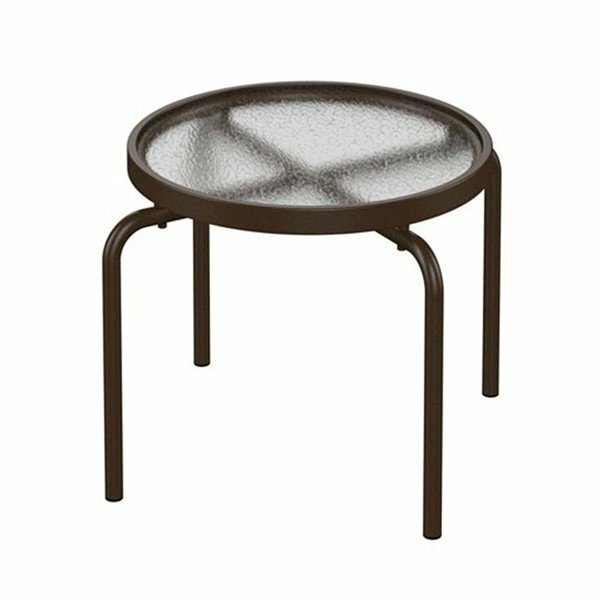 20" Boulevard Round Tea Table with Powder-Coated Aluminum Frame by Tropitone - 14 lbs.